The Road Home estimates that the cost to spare families the environment of its downtown Salt Lake City homeless shelter has risen to nearly $4,400 per night — or more than twice what the state has allocated. At that rate, The Road Home would spend $1.6 million per year on motel stays for clients it once served at 210 S. Rio Grande St. But nobody — not elected officials nor Road Home employees — is sounding the alarm just yet. The shelter’s family wing was emptied in mid-July as a condition of The Road Home’s state-allocated funding, an early step toward the planned July 2019 closure of the downtown shelter. The idea, then: that families, especially, shouldn’t live at the same address listed by dozens of sexual predators, a place fronted on all sides by a thriving drug market. The state allocated $750,000 to move those families. Some obtained subsidized housing, others were transferred to The Road Home’s family-dedicated shelter in Midvale and the remainder went to motels at a cost of about $100 per family per night. Salt Lake County Mayor Ben McAdams said at the time that he was “concerned” to see that the number of families in motels had increased since initial reports. “While I think a lot of us probably feel strongly that we’ve got to get families out of the Rio Grande area, and certainly a motel is better than Rio Grande, I do want to keep the focus on getting these families into housing,” he said. As of late last week, the number of homeless families in motels had climbed again, from 28 families to 44 — totaling 189 people. By way of comparison, the cost of housing an individual in a shelter is about $12.50 per night — which works out to little more than a third of the cost to put up a family in a motel. There are “plusses” to the deal, Minkevitch said, that he hopes will help his staff more efficiently relocate families. The Road Home, which spent $10.8 million in 2016 to serve more than 6,000 people in shelter, used the new state allocation to hire case managers and housing locators, and it received $100,000 to eliminate barriers to housing, like missing back rent or lease initiation fees. Minkevitch said Road Home staffers strive to find motels in areas with low crime, and they prefer to place families in suites, where they can prepare a meal. Of 76 families who have gone to motels since July 14, 25 had left for housing and six had bounced back to the Midvale shelter as of late last week. One left and did not return to a shelter, leaving 44. Jonathan Hardy, director of housing and community development for the Department of Workforce Services (DWS), said the state can adjust its funding for the effort as needed. While $1.6 million would far exceed the $750,000 set aside, the figure is fairly well in line with a DWS-produced draft homelessness budget that informed legislators in this year’s general session..
Then, state officials contemplated spending $1.75 million per year on motel vouchers for 170 people in homeless families. Another $2 million in one-time funds could become available if the state chooses not to build an overflow shelter — which has yet to be sited or spoken about much publicly. “We’re certainly prepared to meet our demand levels right now,” Hardy said. When demand was at its peak last winter, The Road Home served 519 people in families, and it then sent “about nine” to motels, Minkevitch said. The 210 S. Rio Grande St. shelter has room for 31 families in its dedicated wing, but The Road Home has also allowed families to sleep in its day room and lobby space. This year’s Point in Time count showed that homeless families with children on a given night increased from 188 in 2016 to 198 in 2017. 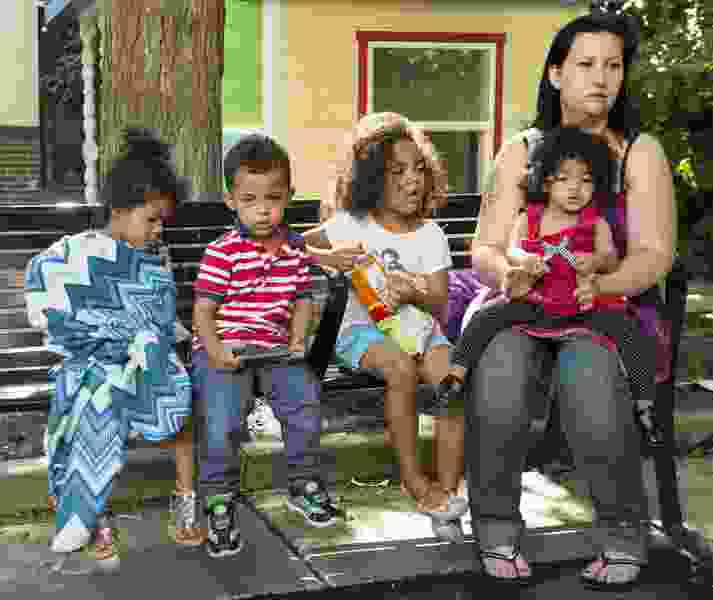 Many more families meet the looser definition of homelessness tied to school funding: In Salt Lake County, nearly 6,000 schoolchildren were living with another family as of Aug. 28. Statewide, the total was nearly 14,000. But the sudden increase in families staying in motels is somewhat counterintuitive, given that overall numbers of homeless people served by The Road Home were down for the first half of this year. From January to August, The Road Home saw a 5 percent decrease in total people using shelters, but a 6 percent increase in total shelter nights. That’s because people are staying longer, Minkevitch said — up from an average of 40 days to 45 days. That effect has been particularly pronounced at the Midvale family shelter, where the average stay is up 14 days, to 53. The Midvale shelter had served 300 more clients from January to August in 2016, but shelter nights were up 7,500 over the same period in 2017. Motel stays are “quickly becoming one of the most expensive day-to-day items in the budget,” said Rep. Steve Eliason, R-Sandy, a nonvoting member of The Road Home’s board of trustees. Motels also are flawed logistically from a case-management perspective, Eliason said. But they work as a “temporary bridge to a better long-term solution,” he added. Minkevitch agreed: “Qualitatively, we‘re providing a better product,” he said. The best way to reduce the longer stays in shelter, he added, would be to increase the stock of affordable housing. The state is estimated to be short about 38,000 units for renters who earn less than 30 percent of their area’s median income, while Salt Lake City’s shortage for those who make less than $20,000 per year is thought to be about 7,500 units.